Our school is growing, and we need you to help it flourish. The student body is robust, and the school is shining with the greens and reds of the children’s fresh energy and passion for learning. Each classroom reveals the unique and beautiful vision of the faculty who continue to be the heart of the school. The school’s festivals, including Michaelmas, Dia de los Muertos, Lantern Walk, Winter Spiral, Lunar New Year, and Mayfaire, frame the seasons and bring renewed enthusiasm and focus to our mission. We welcome your support to keep these classrooms and traditions healthy and alive. We enjoy our fourth year in our building on Nelson Road, attending to the beautification and utility of our indoor and outdoor spaces. Thanks to donors like you, we have the beginnings of an exciting new playscape. Each student spends ten minutes every day beautifying the school, and these efforts are visible when you step onto the land or through the entrance. The farm adds a truly distinctive experience for the students, who tend the earth with care and devotion. It’s a breathtaking time for Waldorf education in Ithaca, and we invite you to be a part of it. Gifts made to the Ithaca Waldorf School are tax-deductible. The school is a non-profit organization with 501(c)(3) status. Its Federal Tax Identification number is 16-1389464. Many of you knew Maria as a dear friend, an engaged fellow class parent, a supportive colleague. Others of you may have known her warmth of spirit through the end of the telephone, or via a letter she sent during her years working at the Ithaca Waldorf School. 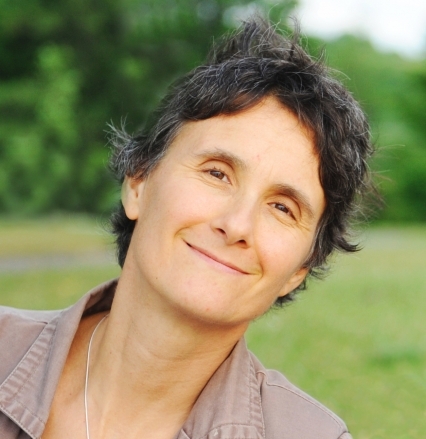 Maria has been supportive of Waldorf education for over 20 years, through the establishment of a Parent/Child class in Florida, to work in Hungary, and for at least a decade here in Ithaca. Her presence at Parent Study evenings always brought joy to the gatherings. All of us remember her as a selfless, generous soul, whose courage and effervescence will live forever in our hearts. At the Ithaca Waldorf School, it seems only appropriate that we continue to honor Maria’s tireless work in support of Waldorf education. This year we have established a fund, which will provide emergency tuition support for any family facing a sudden crisis (for example: terminal illness, loss of work). All proceeds will be donated to the Maria Rabb fund. If you wish to contribute directly to the fund, please contact Emily Butler, Director of School Administration, at (607)-256-2020. Jim McClurkin was an exceptional teacher of several classes at the Waldorf School of the Finger Lakes. His specialty at the WSOFL evolved to being the teacher who would successfully take an existing class to graduation, which he did for at least four classes. Jim passed away unexpectedly during the summer of 2016 after 25 years of teaching Waldorf education. This scholarship honors his personal dedication and his inspired leadership and is funded by grateful friends, colleagues, parents and students of the Waldorf School of the Finger Lakes. A scholarship fund has been established in Jim's name to enable students with financial need to attend the Ithaca Waldorf School. This scholarship honors his personal dedication and inspired leadership and is funded by grateful friends, colleagues, parents and students. If you would like to make a memorial gift to this fund, please click here to contribute securely via PayPal (please write: Jim McClurkin Scholarship when you make your donation). Alternatively you may send a check, payable to the Ithaca Waldorf School (writing Jim McClurkin Scholarship in the memo line), 20 Nelson Road, Ithaca NY, 14850. If you have further questions, please contact Emily Butler, Director of School Administration at the Ithaca Waldorf School, or via phone at607-256-2020. When you select Ithaca Waldorf School as your charity of choice on Amazon Smile a percent of your purchase is donated directly to our school! Click here to sign up.